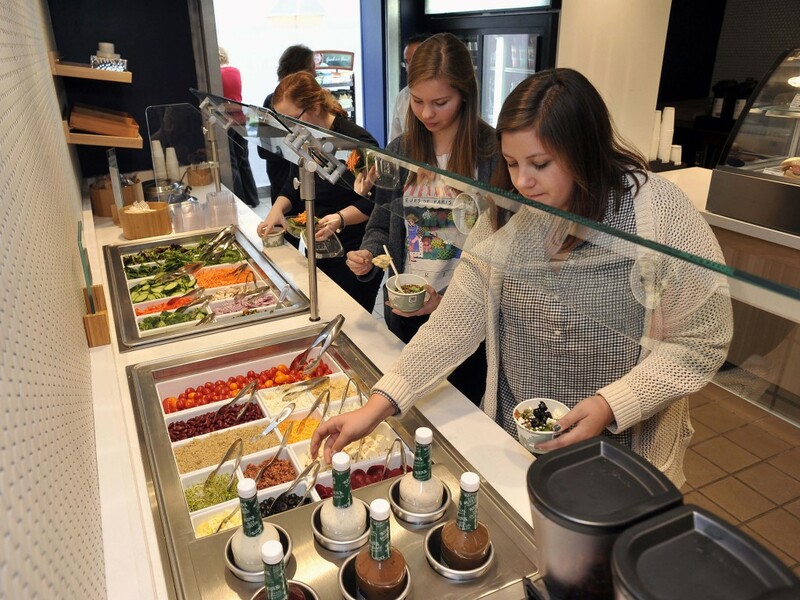 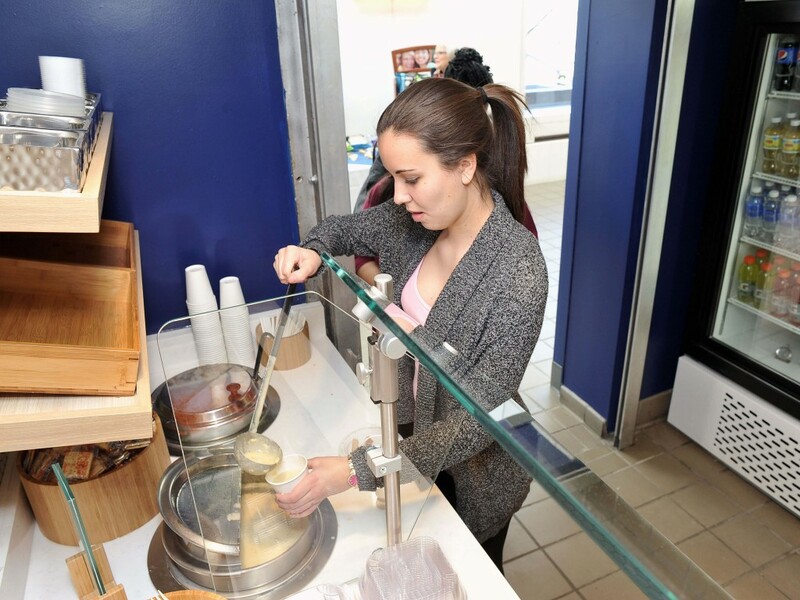 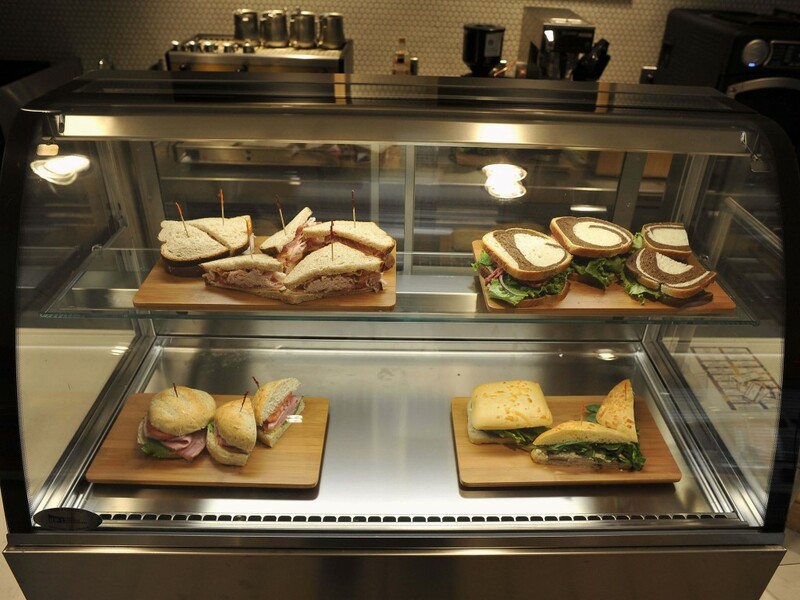 Located on the second floor of the Balfour-Hood Center, the newly renovated Hood Café is open for breakfast, lunch and dinner, offering eco-friendly meal options, a serve-your-own salad bar, hot and cold sandwiches, soups, cold drinks, Starbucks Coffee and other items. 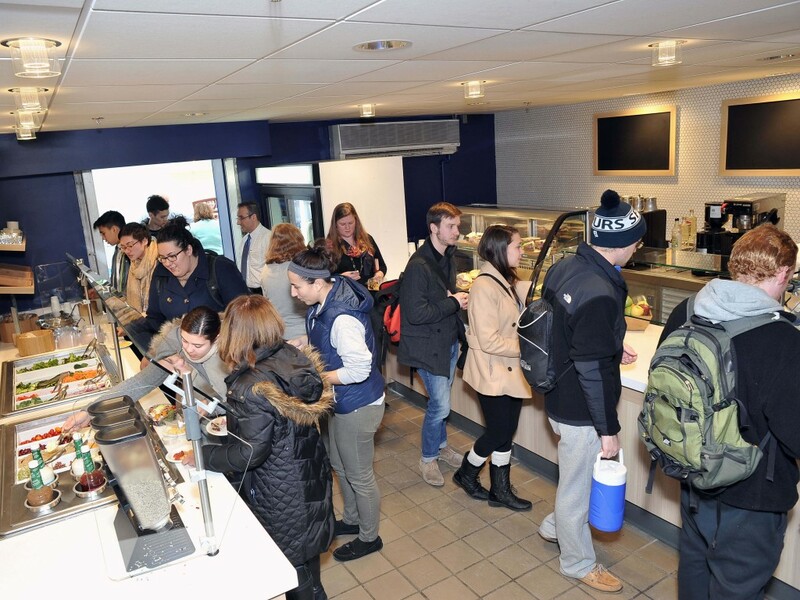 Diners can pay with cash, credit cards or their student meal plan using a Lyons Swipe card. 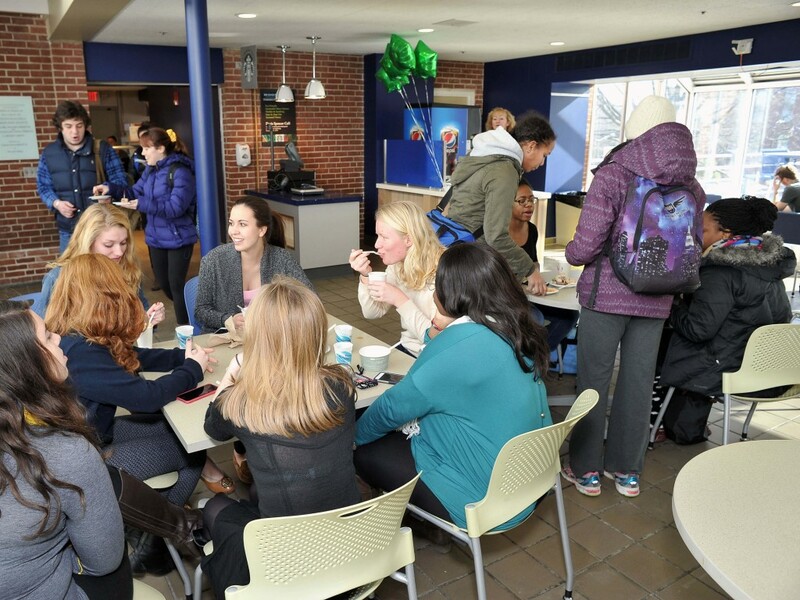 Hood Café features a large indoor seating area, with comfortable couches, chairs and tables that are often used for studying, meeting and socializing in addition to dining. 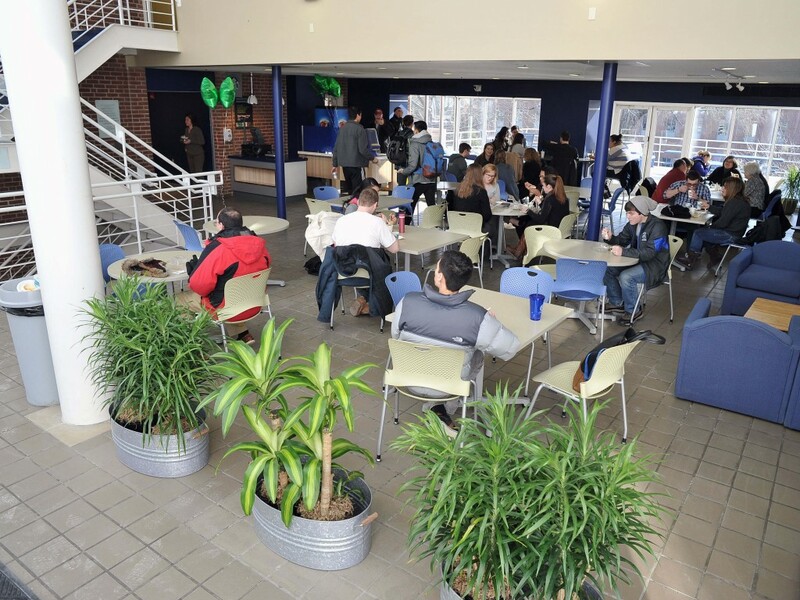 More seating is located on the outside patio.